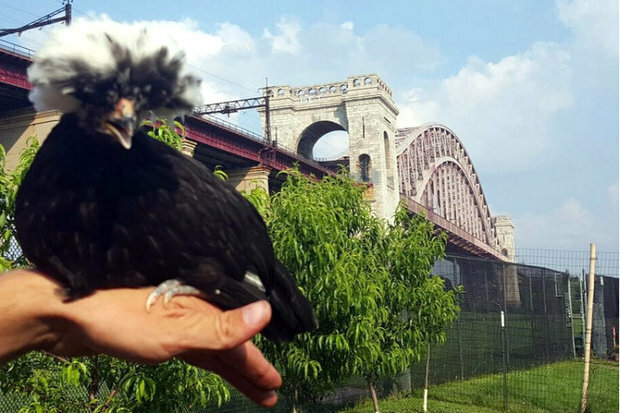 RANDALL'S ISLAND — A heartless "sicko" broke into a chicken coop on Randall's Island and drowned eight chickens in a bucket, then left their carcasses for staffers to find over the weekend, police said. Employees of the 1 acre Urban Farm at Randall’s Island discovered the corpses Saturday morning. The chicken-killer broke into the coop, which is fenced off and locked at night, then used a single bucket of water to drown all the animals, which were between 4 and 5 months old, according to farm officials. The suspect also destroyed one of the two coops where the chickens lived, according to the NYPD. “We’ve had vandals destroy things before but this takes it to a new level for us,” said Deborah Maher, vice president of the Randall’s Island Park Alliance, who called the suspect a “sicko." Urban Farm has raised the chickens since they were a week old. They used the birds to teach local school children about urban gardens and where their food comes from, Maher said. Vandals have broken into the garden before. They have destroyed some of the vegetable beds and equipment in the past but they’ve never harmed the chickens, Maher said. The park is trying to find a way to make the garden more secure for future chickens by either installing a surveillance system or finding a building to store the animals overnight, she added. They are also trying to get another set of chickens in time for the new school year, when schools schedule field trips to the Urban Farm. The Urban Farm is located on the south end of Wards Island near the Manhattan Psychiatric Center, a homeless shelter and the New York Fire Department Training Center.